Dayton Duncan, an award-winning writer and documentary filmmaker, is the author of nine books, including Out West: A Journey through Lewis & Clark's America, Grass Roots: One Year in the Life of the New Hampshire Presidential Primary, Miles from Nowhere: In Search of the American Frontier, and Scenes of Visionary Enchantment: Reflections on Lewis & Clark. Duncan has also been involved for many years with the work of documentary filmmaker Ken Burns, consulting on Burns' award-winning series for public television, The Civil War, Baseball and Jazz. 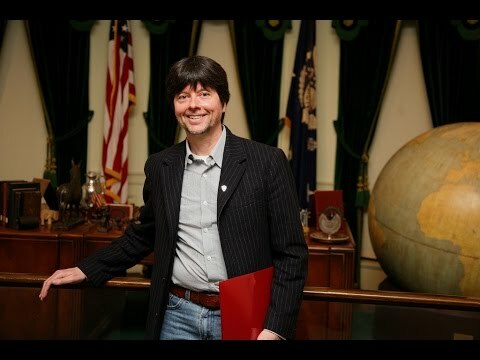 He was also the co-writer and consulting producer for a 12-hour series about the history of the American West, which was broadcast in 1996 and received the Erik Barnouw Award from the Organization of American Historians. Born and raised in Indianola, Iowa, Duncan holds a degree in German literature from the University of Pennsylvania and honorary doctorates from Franklin Pierce College and Drake University. He currently resides in New Hampshire.